We will be at Geek Craft Expo this year! Come visit us next month on June 10-11 from 11am-6pm at table H-02. 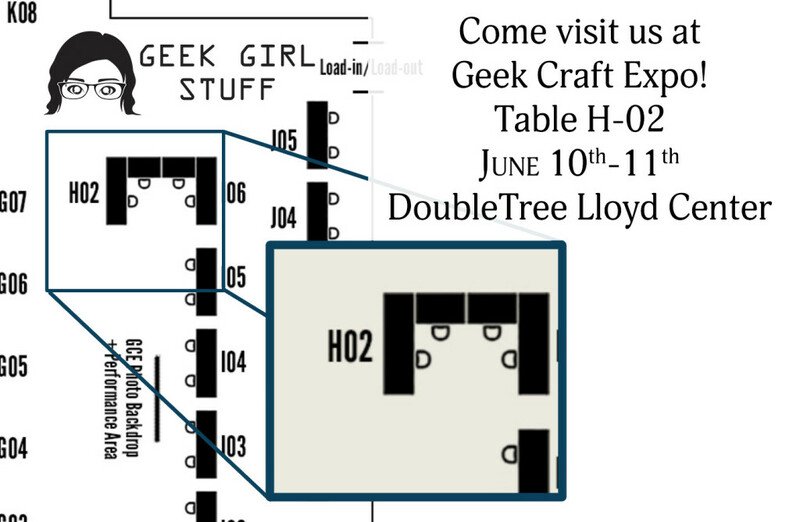 Geek Craft Expo will be at the Double Tree hotel by Lloyd Center in Portland, OR. We’ve been hard at work with some new etched glass designs, ear cuffs, art, chocolates, you know, the usual geeky goodness. Come say hi!